The Philippines, which has just received an upgrade in its credit rating amid favorable macroeconomic performance, is bullish it can make a significant leap in global competitiveness rankings by 2016. 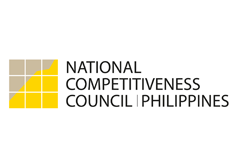 In a report by the government’s Investor Relations Office (IRO), the Aquino administration cited its target for the Philippines to land in the upper 30 percent of competitiveness rankings conducted by key international organizations. The Aquino administration is committed to “transformational leadership, institutional reform, economic stability and inclusive growth,” the government said in the report titled “The Republic of the Philippines: A Fortified Credit Story,” and distributed to foreign investors in recent international road shows conducted by the country’s economic officials. The government’s competitiveness target means that by 2016, the Philippines should be on the 43rd rank or higher out of 142 economies covered in the annual Global Competitiveness Rankings by the World Economic Forum (WEF). This would be at least a 32-notch jump from its latest rank of 75th in the 2011-2012 rankings by the WEF. WEF ranks competitiveness of countries based on various factors, including strength of government institutions, infrastructure, health and education services, labor- and goods-market efficiency, market size, technological capacity, and sophistication of the business sector. In terms of the annual World Competitiveness Rankings by the Switzerland-based academic and research institution IMD, the Philippines’ target of landing in the upper 30 percent means landing on the 18th or higher spot by 2016. This would be at least a 25-notch jump from the country’s latest 43rd rank in this year’s competitiveness rankings by the IMD. Competitiveness rankings reports serve as guide to foreign investors in deciding where to do business. The administration said in the report it would focus on supporting five key industries to help boost economic growth, and thus competitiveness, of the country. These industries, which are said to be where the Philippines has competitive advantage, include tourism, creative industries (advertising, music, digital content), business process outsourcing, agribusiness and infrastructure. The Philippines, which has an estimated population of over 94 million, has a consumer market size that is attractive for business. Economists said, however, that the country has been lagging among emerging Asian economies in terms of cornering foreign direct investments due to constraints, such as insufficient infrastructure, bureaucracy that makes the process of putting up businesses tedious and long, and perception of unstable regulatory environment. The government’s economic officials, however, said they have started addressing issues that have dampened the country’s competitiveness. They cited the government’s rising budget allocation for infrastructure, education and other social services. The administration likewise claims it is implementing various reform programs to curb corruption and improve public services by government offices. On July 4, credit rating firm Standard & Poor’s raised the Philippines’ credit rating from BB to BB+, or from two notches to just one notch below investment grade. S&P cited improving macroeconomic fundamentals, such as the government’s declining debt burden (proportion of its outstanding debt to the country’s gross domestic product), the country’s rising foreign-currency reserves, and robust pace of economic growth. Credit rating serves as a guide for creditors and bond investors in making decisions about lending or purchasing of bonds. The Philippine economy grew by 6.4 percent in the first quarter from a year ago, faster than the 4.9 percent in the same period in 2011. It was also the second-fastest pace of growth in Asia for the period next to China’s 8.1 percent.